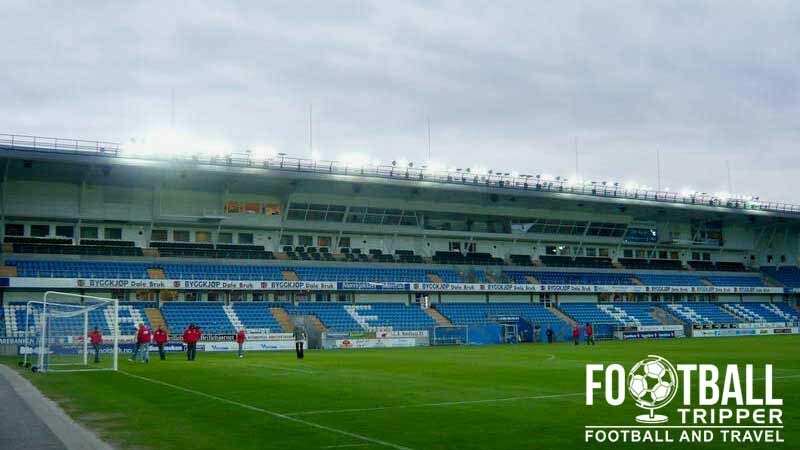 Aker Stadion formerly known as Molde Stadion is a purpose built football stadium located in the Norwegian city of Molde. 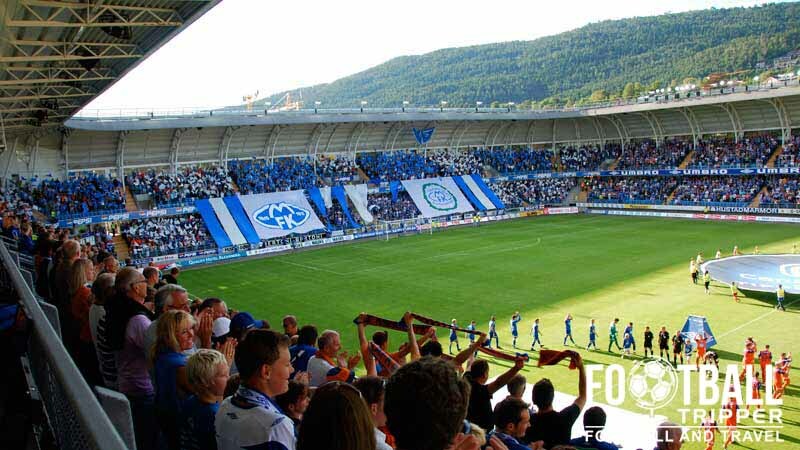 Home to the local team Molde Fotballklubb which takes its name from the city, the 11,800 capacity ground first opened in 1998 and was designed by architect Kjell Kosberg. 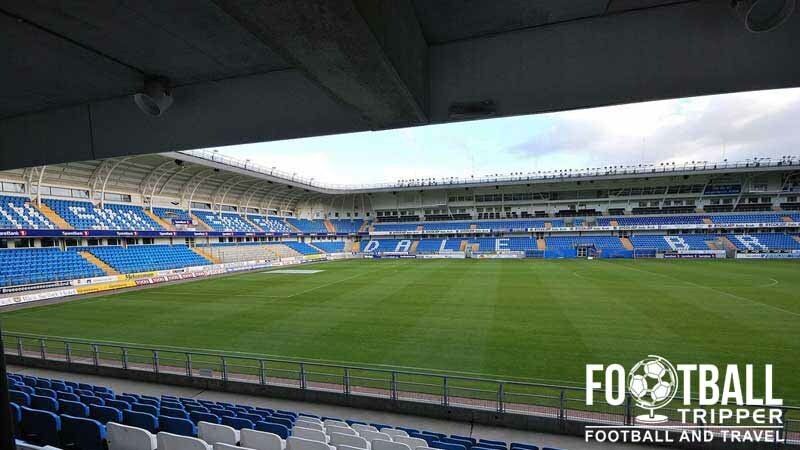 Designed by Norwegian architect Kjell Kosberg who would later lend a hand to Sør Arena in Kristiansand, Molde’s Stadion cost an estimated 212 Million NOK, and was financed by the club’s owner Kjell Inge Røkke who was partially responsible for Milton Keynes. Construction took place over the course of a year beginning in 1997 with the inaugural competitive fixture played on 18th April 1998 against Lillestrøm SK. Much heralded upon completion, the stadium was awarded the City Prize, and nominated for a Prix D’Excellence. The record attendance of 13,308 was set in Aker Stadion’s inaugural season in a match against Rosenborg, and is unlikely to ever be beaten – at least not without expansion work occurring. This is because the stadium was converted to all-seating when Molde qualified for the Champions League in 1999. Since 2006 Molde Stadion’s naming rights have been sold to Aker who are owned by chairman Kjell Inge Røkke. Due to Røkke’s long term association with the club, the stadium is sometimes referred to as”Røkkeløkka” by fans. The most notable change to the stadium in recent years came in October 2013 when the club opted to replace the natural surface with more durable artificial turf. Aker Stadion is comprised of four stands: North, East, South and West. When Scotland took on Norway in an international friendly back in November 2013, the visiting supporters of the tartan army were housed within Section K which is the southern side of the eastern goal-end. Accessible via gate 6, it is capable of accommodating 569 supporters and the seats are usually unreserved. Views are faultless throughout due to the compact nature of the stadium. The stadium café which is frequented by the players and staff is open to the public during the week between 10.00 am and 2.00 pm. Inside the stadium there 8 kiosks and 4 mobile units selling food and drink on matchdays. 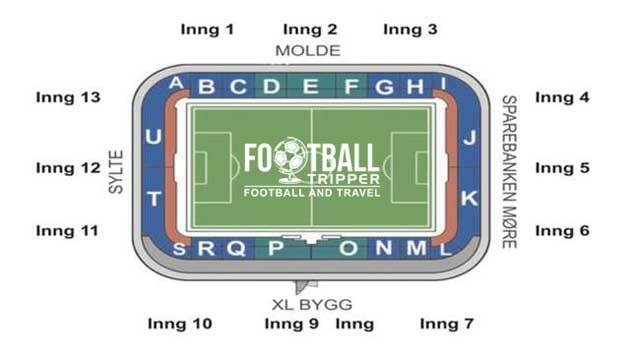 There’s an online club shop known as the Supporter Shop Molde. There’s contradictory information online as to whether or not a tour of Aker Stadion is available to the general public therefore it’s hard to say. It appears as if it may only be for Groups of 25 e.g Schools, however that doesn’t stop you visiting the stadium’s gift-shop, and cafe during the week. 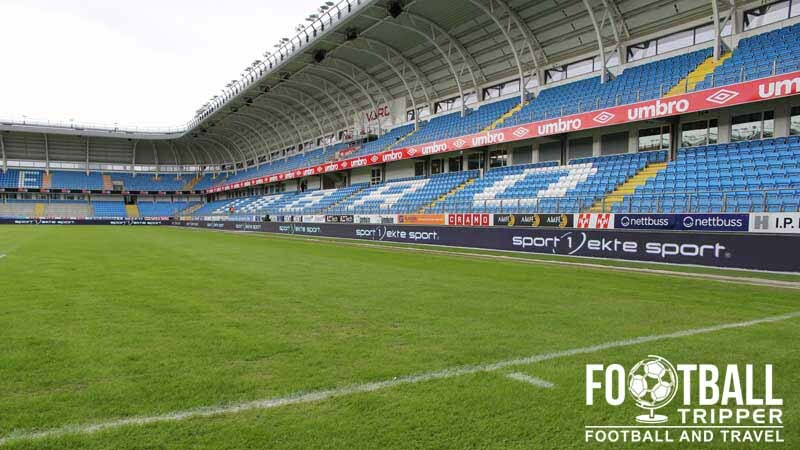 Tickets to see Molde FK play at home can either be purchased online, or in person at the ticket office (gate 10) in the days leading up to the match. Providing that the matches aren’t sold out you can sometimes acquire tickets a few hours before kick-off. A place in the supporters terrace behind the goal will likely cost between 85-170 krone depending on the opposition, and a seat in either of the grandstand can range from 110-350 krone depending on how central you wish to be. Aker Stadium sits on the shore of the Romsdalsfjord approximately 1.0 km west of Molde’s compact town centre of Molde. The walk by foot is likely to take the average football tripper no more than 15 minutes maximum. There are three medium sized car-parks left of the stadium although the matchday parking arrangements aren’t made abundantly clear on the official website. Aker Stadium isn’t served by any bus routes, and the city of Molde lacks its own metro system and train station. Most residents walk or drive. One of the small car parks at the stadium. Molde Airport sits 5.4km km east of Molde City Centre which makes it extremely accessible for Football Trippers. Upon landing you can get a taxi into town within 10 minutes. There are numerous hotels within Molde with Scandic Seilet less than 100 metres south-west of the stadium easily the closest place to stay. The remaining accommodation options within the city such as Quality and Comfort Hotel aren’t really any cheaper which means The Scandic isn’t the worst option in the world.